Games In addition to the physically active outside games we like to play in our yard in the warmer months, our family loves challenging each other to board, card, and puzzle games that keep our minds thinking. Anything that involves strategy, playing with words, deciphering patterns, or racing to complete a mental task combines fun and learning opportunities for all of us. Some of our best-loved games for playing around the summer patio table include Qwirkle, Bananagrams, Q-Bitz, Rubik's Race, and Apples to Apples. We also enjoy doing crossword and sudoku puzzles, and trying to solve riddles and logic puzzles that we find in books together. Writing/Journalling Summers can be full of wonderful moments that make great family memories, and encouraging kids to preserve their favourites through writing is a great way to encourage the development of the language skills they learn in school. I often take the boys shopping to choose their own cool notebooks and pens or pencils at the beginning of the summer, and we make sure to pack them whenever we're hitting the road for a longer journey. 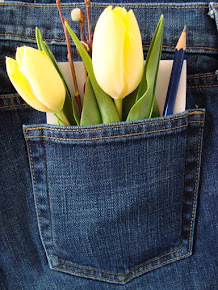 Journalling can take many forms for kids depending on their ages, abilities, and interests: a combination of drawings and words (comic book style appeals to many Middle Graders), longer prose, poetry, newspaper-type reporting, etc. Being able to write about what they love or find exciting, in whatever way they choose, can encourage even reluctant writers to practise their developing skills. Summer Camp Programs/Educational Attractions Our family spends a good part of our summer at home, swimming and hanging out in the yard, but we do have a week or two each summer set aside for the boys to participate in summer camp programs based on their personal interests, where they can dive into learning that they wouldn't usually have access to in a regular school setting. Their camp experiences often spark further individual exploration at home once the scheduled program is over. Our family also makes a point of finding fascinating attractions to visit (museum exhibits, science centres, university open houses, special community events, etc.) both locally and in the places we travel to on summer vacation, so that we all might have a chance to learn something new. To help families encourage learning during the break from school, Simon & Schuster Canada is running a Summer Slide Prevention Campaign, featuring education tips from teachers and librarians, book recommendations, and activity sheets for kids. They are also offering a super prize pack of eight of their best books for 7 to 12 year olds for one lucky Pocketfuls reader to win. 1. You must log in in the giveaway box below. Head over to my Pocketfuls page on Facebook and "Like" it. This giveaway will run from now until Monday, June 30th at 6:00pm EDT, and is open only to residents of Canada. One winner will be chosen randomly via Rafflecopter from all of the eligible entries. Good luck, and I wish all of your families a summer filled with fun discoveries! June 30th update: Congratulations Tracy B D! 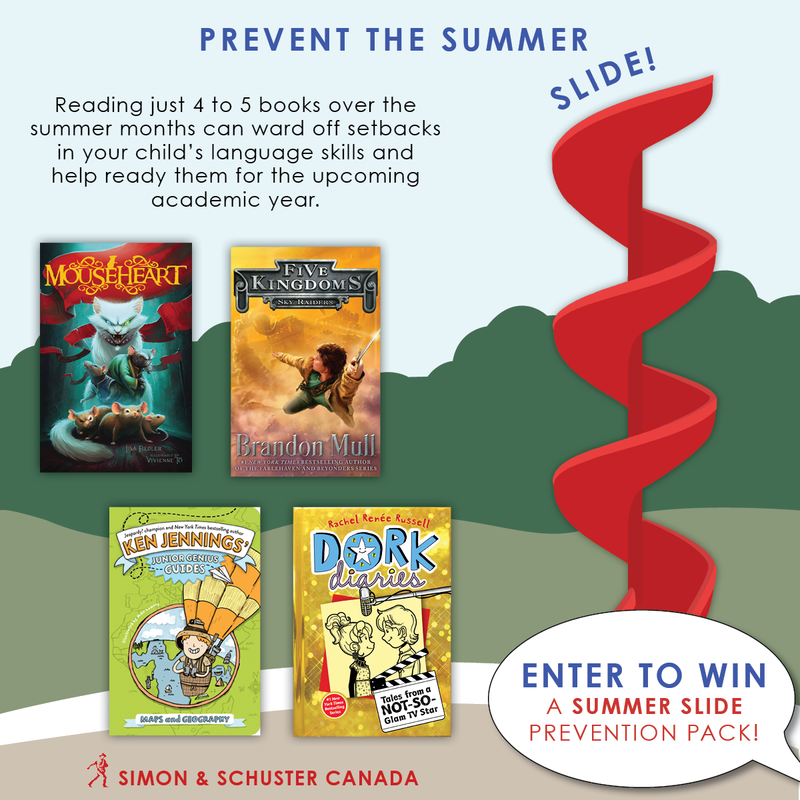 You are the winner of the summer slide prevention book pack from Simon & Schuster Canada. :) I'll be contacting you via email to set you up with your prize. Thank you to all of you who entered and shared your great ideas for summer learning with me! Disclosure: Simon & Schuster Canada provided my boys with some great books to read for my participation in their Summer Slide Prevention Campaign. The ideas and opinions shared here are my own. We encourage summer learning through a lot of kitchen experiments either with recipes and or science experiments. The library has been a great resource for getting new ideas. We also spend a lot of time in the backyard reading, we all love to read! we love to encourage summer learning by visiting a lot of the city museums that we don't normally have time to see during the school year. We still read together every night, and use the time to foreshadow what's coming up in the next chapter, or play out "what if" scenarios to encourage critical thinking. We encourage summer learning by reading with the kids and by taking them to the library for story time. Actually, I really don't excel at the summer learning thing. At all. It's a good thing I don't homeschool. :P But I have a plan for this summer, to give things more structure. We like to spend a lot of time at the library letting the kids get as many books as they want. Lots of library time, some time in French each day (my daughter is in French immersion), museum visits, nature learning (getting out in nature) and lots of travel. But honestly, I think free play is very important and we like to get lots of time for that in the summers! I love the idea of summer journals! We encourage reading by having reading time each night. Him and I both cuddle up and read for a half hour each night. Reading, though that's a year round endeavour. Summer is more about nature learning - wildflower hikes, wandering the yard with a magnifying glass, guessing which pest is eating our tomatoes before we do... that kind of thing. We do a lot of journal writing. Also, the kids each record the books they have read...makes it a bit of a competition for my son which motivates him.